As you approach the small teal building that stands out among an otherwise undeveloped stretch of Southwest Third Place in Cape Coral, there’s nothing to suggest that this once-upon-a-time auto service center today houses one of the most highly awarded rum brands (craft or corporate) in the world. And yet, it does. Inspired by a bad glass of rum, fueled by a passion for quality and born of an entrepreneurial spirit of excellence and adventure, JoAnn Elardo and her husband Bob have turned the rum world upside down with the creation of Wicked Dolphin — a craft distiller of currently 10 artisan rums that, in less than five years, has been awarded numerous international (and national) awards, and grown to see its delightful flavors and colorful labels in more than 3,000 distribution points in Florida alone. It was a good question, considering that almost 50% of all sugar produced in the United States germinates from Florida soil. So JoAnn set out on what was to become a four-year journey of learning all she could about the business of distilling, and what it would take to become a craft distiller of distinctively quality rum. 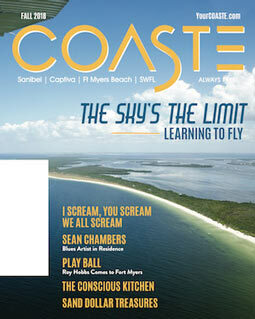 View this story online via our digital issue here. 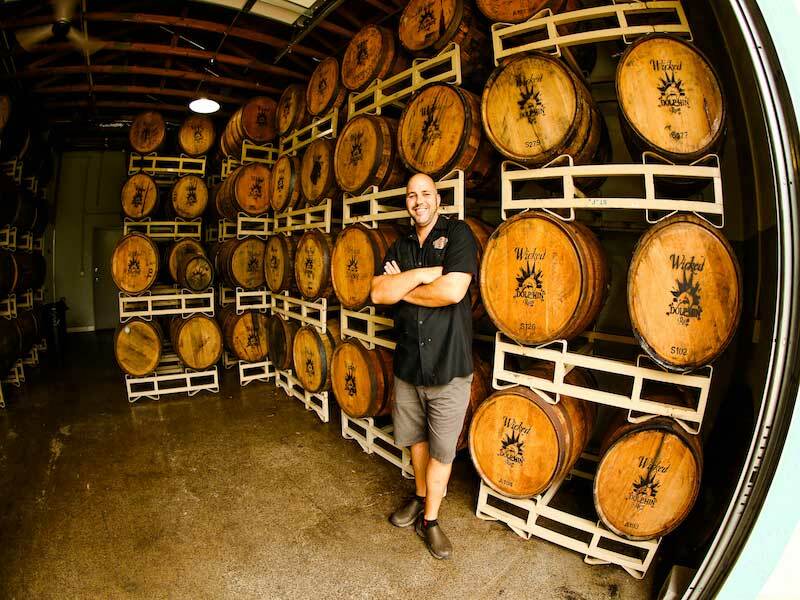 In the beginning, Wicked Dolphin focused on producing its “Reserve” product line — various rum flavors aged one, two, three years or longer in American white oak barrels that previously matured whiskey. It’s one reason why the first batch of rum distilled in 2012 wasn’t bottled for sale until a year later. But over time, restaurants and clubs have approached Wicked Dolphin about a lighter rum that would go nicely with mixed drinks, and a “Premium” line was launched. This affinity for quality is what’s garnered Wicked Dolphin so much attention in the rum world. In 2013, its first year, Wicked Dolphin won a gold “Best in Class” at the Miami Rum Renaissance. In 2014 and 2015, Wicked Dolphin took to the world stage at the International Rum Conference Madrid — and took home gold. Add to these awards at the American Distilling Institute, Spirits of the Americas, the San Francisco World Spirits Competition and more, and you have the makings of a folk tale come true: the little rum that could. But not only is Wicked Dolphin a popular rum that’s now in five states, the Cape Coral distillery has become a tourism destination of sorts and a highly praised TripAdvisor attraction, hosting more than 25,000 people annually for tours, trinkets and — best of all — free samples. And further down the road — roughly eight miles, to be exact — Elardo has taken her company in an altogether different direction with the October opening of Big Blue Brewing, a brew pub and restaurant in Cape Coral managed by her other nephew Joe Termini, twin brother (almost identical) of head distiller Dan. Big Blue Brewing is a delightfully hip and happening place, with six signature beer labels, a light and tempting menu, plus an attractive and highly creative décor that is, once again, the amazing vision of its owner. the little rum that could.